Light Metals are one of the leading Aluminium Profile, Aluminium Structure, Extruded Aluminium Profile & Accessories suppliers in India. We have complete range of Modular Aluminium Profile with joining elements, T Nut, T Slot Nut, Profile Nut, Sliding Nut, Hammer Nut, Die Cast Brackets, External Brackets, Internal Brackets, Inner L Brackets, Leveler base, End Cap, Slot Cover, Beading & all the accessories. Extruded aluminium profiles are used for assembly tables, table with electrical height adjustment, trolleys, machine guards, machine bases, conveyors, linear guides, partitions, storage racks, inspection tables etc. Apart from profiles & accessories we can also provide all the above structures customized as per the customer requirement. 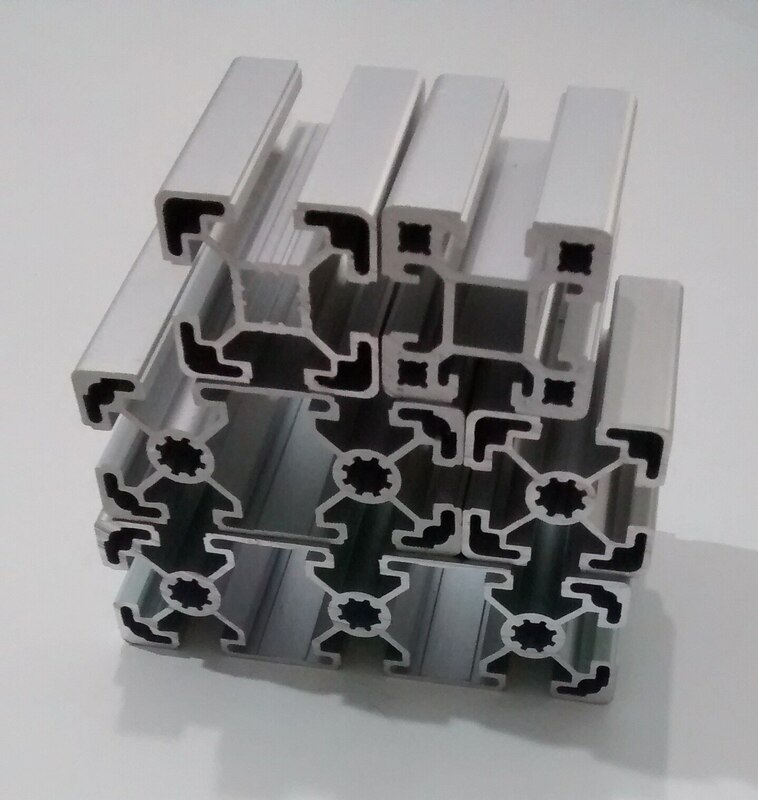 Aluminium profiles Available Sizes:. Sizes: 20x20, 20 Corner Profile, 20x40, 20x60, 20x80, 30x30, 30 Corner Profile, 30x60, 30x90, 40x40, 40x80, 40x120, 45x45, 45 Corner, 45x45 Half Round, 45x90, 45x60, 50x50, 60x60, 80x80, 80x120, 80x160, 90x90.